Delighted to share the exciting news that my first collection is coming out next year, with Pavilion Poetry, part of Liverpool University Press. 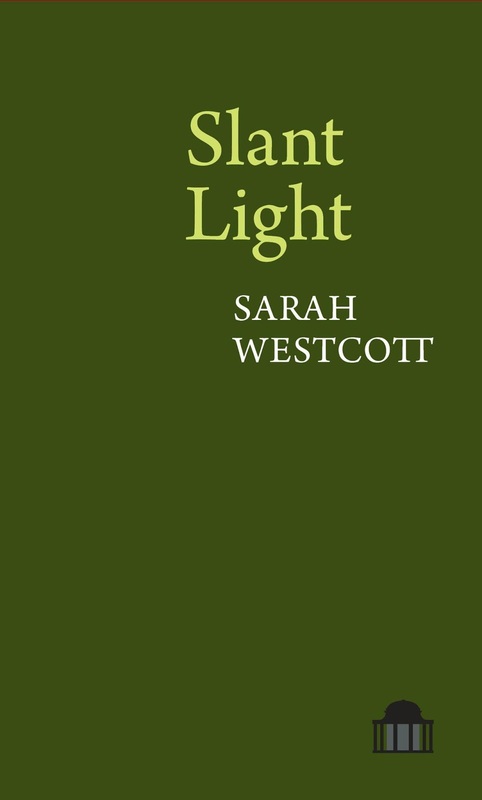 The book is called Slant Light, and comes in this handsome shade of green which I hope chimes with the somewhat botanical and earthy contents. I would hesitate to label the collection as 'eco poetry' but it is written with a deep awareness of human and non-human connections and threads. It contains some poems from my pamphlet, Inklings, but mostly new work that has been published here and there in the last three or four years. It's been an interesting, painstaking and laborious process gathering the work together, ordering and editing it, and we are still tweaking the manuscript. giving voice to a remarkable range of flora and fauna so often silenced or unheard. with a planet in peril. It is only the second year that Pavilion have been publishing and I am privileged to be part of this new series, edited by the wonderful poet Deryn Rees-Jones. The press got off to a flying start with Mona Arshi's collection, Small Hands, which won the Forward Prize for Best First Collection this year, and two other collections - Blood Child, by Eleanor Rees and And She Was by Sarah Corbett. Slant Light is due in April next year. Also forthcoming at the same time is Every Little Sound by Ruby Robinson, which I am looking forward to very much, having recently enjoyed her work in the Poetry Review. Hopefully we'll be reading at a few events together in 2016. Slant Light is a book of charms and wonders, full of birds and flowers. deep down things’. A super debut. 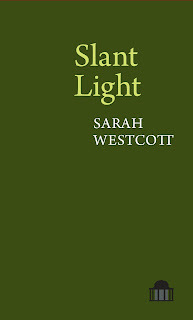 I have been waiting eagerly for a full collection from Sarah Westcott. Now it is here I am dazzled. the hare, the flower – is so finely described, things rise up from the page. of how ‘we sense the bright world’.